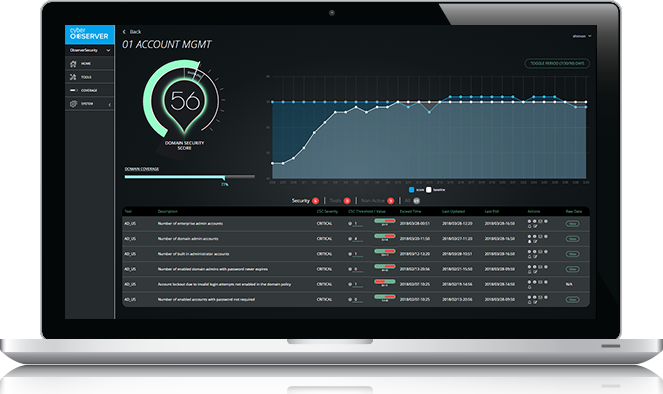 Cyber Observer is a central management and reporting platform, providing automatic and continuous internal cyber security ratings of enterprise security environments. 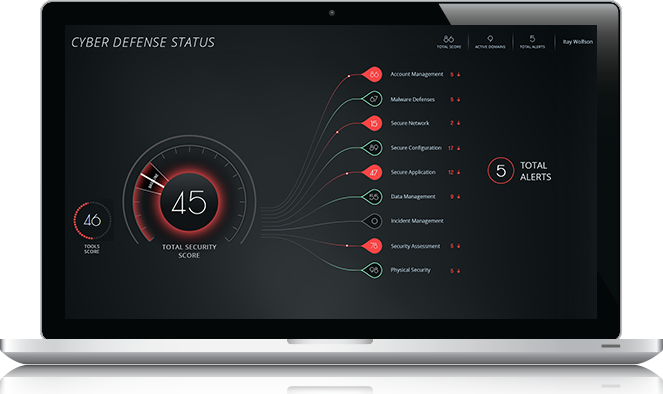 Connecting to the security tool suite and providing real-time information about misconfigurations, sub-optimizations and behavioral monitoring, Cyber Observer is for CISOs and Infosec managers, offering role-based access and customizable views to deliver insight & awareness into cyber security health & preparedness, posture & maturity and compliance & risk. 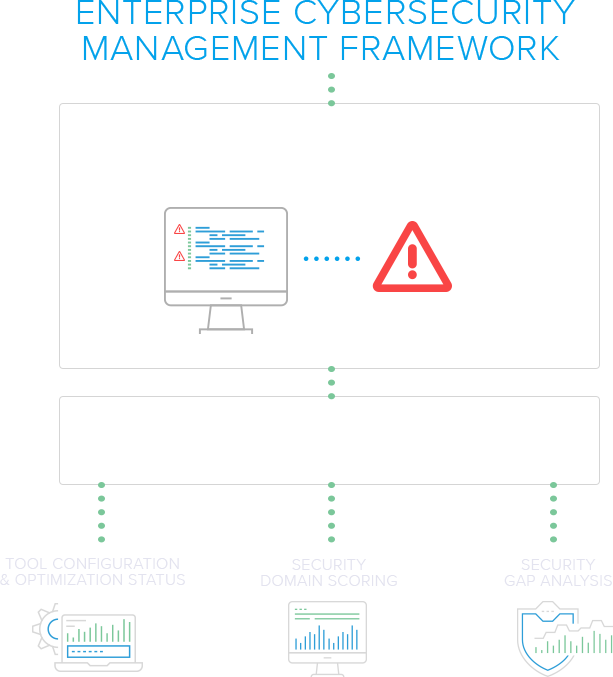 Cyber Observer is an end-to-end single-pane-of-glass software platform that delivers comprehensive & continuous posture monitoring across your entire cybersecurity ecosystem. Best indicators as to the types of cybersecurity tools that are misconfigured, malfunctioning, or lacking and need to be purchased to provide complete cybersecurity protection. See the security weaknesses and gaps in your enterprise ecosystem with proactive recommended steps to help power informed cybersecurity management. The Cyber Observer analytics engine continuously calculates measurements in near real-time that represent normal behavior, it then alerts in case of deviation from normal behavior. 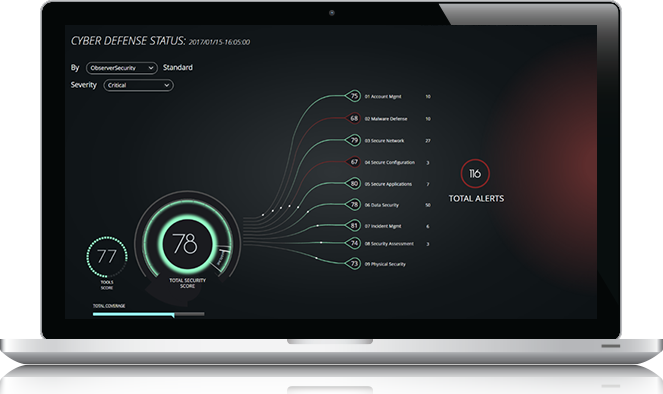 Cyber Observer continuously monitors security software tools, delivering near real-time information about the deployment and optimization of the tools deployed in the enterprise security environment so senior infosec managers can have the awareness and visibility they need to effectively manager their cybersecurity programs. Deploying either our in-house ObserverSecurity Framework or any international security compliance standard, Cyber Observer enables enterprises to better understand risk, manage cybersecurity programs top-down, advance posture, and communicate effectively to senior stakeholders.